This is one amazing and rare gold nugget from my private collection. It is a natural Australia Gold Nugget that has been in my collection for over 15 years. 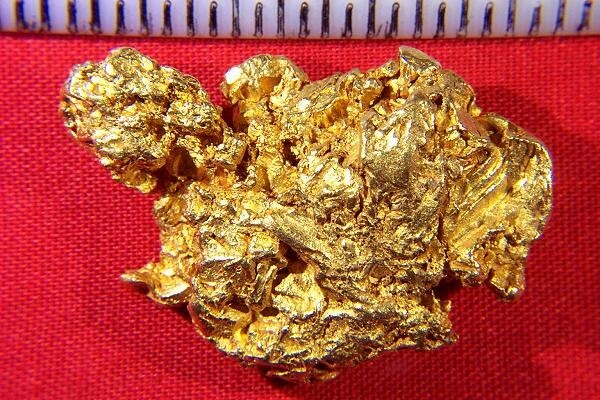 It is a jewelry/investment grade natural gold nugget with an area of distinct hoppering. It also has multiple gold crystals scattered over it's surface, particularly on the side with the hoppering. With a loupe I can see portions of cubes, trigons, and octahedrons. It is truly an amazing and rare nugget. 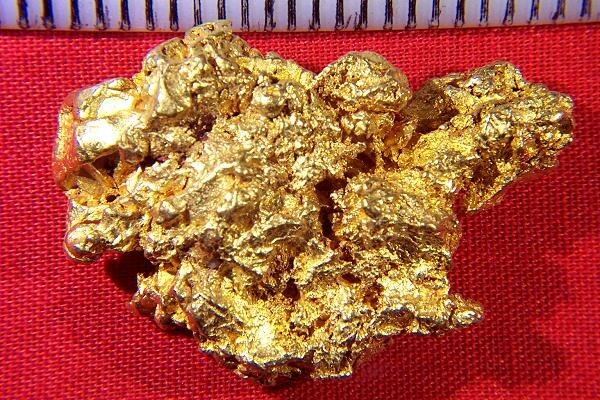 It is very rare to see a natural Australian gold nugget with gold crystals. 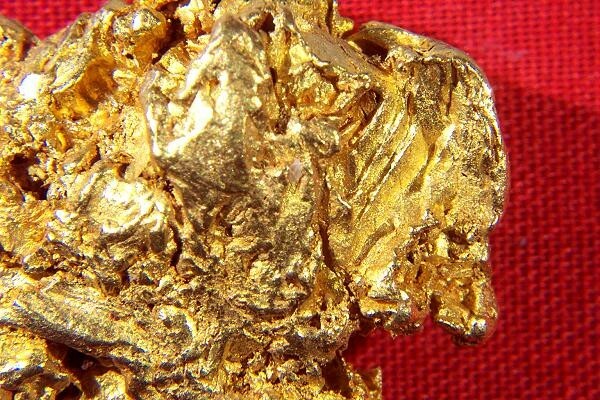 Australian gold nuggets are among the purest in the world at 92% to 98% pure gold. From the incredibly rich color of this beauty I would estimate the purity at more than 94%. It weighs 33.2 Grams, 1.07 troy ounces. 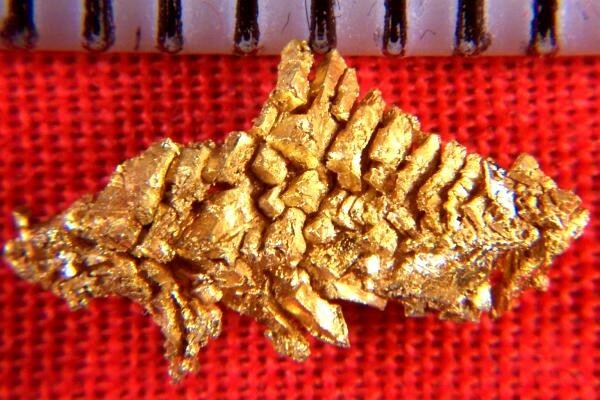 The size of this spectacular Australian gold nugget is 1.3" (33 mm) long. 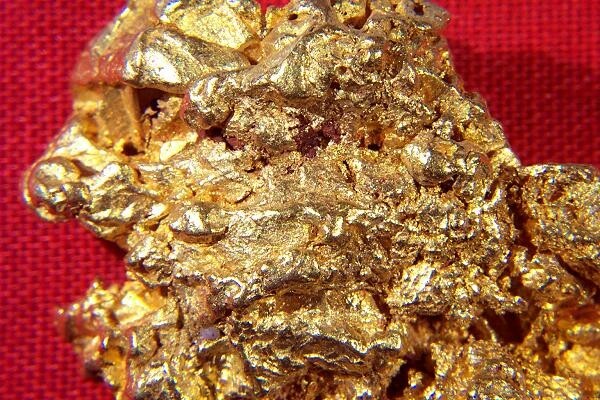 This is one of the highest quality natural gold nuggets that you will ever see for sale. Straight from my private collection to yours.